Measure: 72 x 46 x 95 cm. 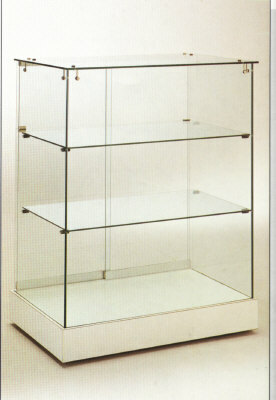 Counter showcase, base with roles, glass top 8 mm. 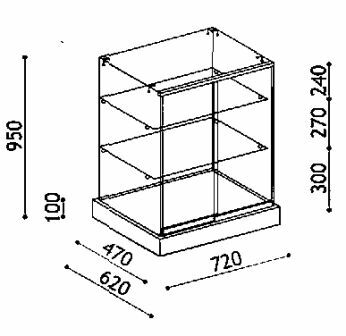 Sliding doors, 2 fixed shelves.